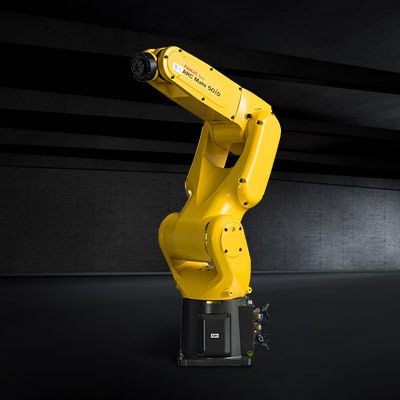 The latest generation ARC Mate 50, this 6 axis standard version is a rugged all-rounder that will maintain high quality standards in harsh working environments. 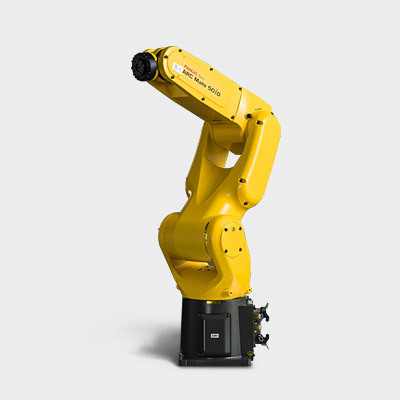 Light and compact, this model provides an easy-to-integrate solution for small payload welding applications that do not require a long reach. Rugged, IP67 rated wrist design performs reliably even in the harshest manufacturing environments. Perfect solution for wet or dusty environments – resistant to pressure washing. 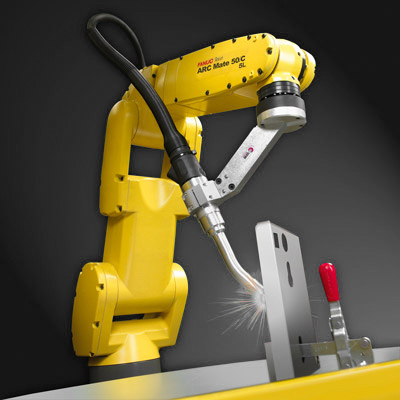 The ideal solution for welding applications where space is at a premium and high throughput is a must. 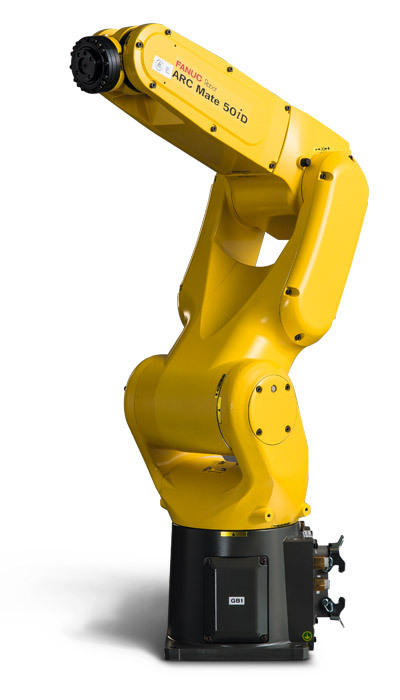 Optional IP69K protection increases the robot specification to make it capable of withstanding high pressure steam cleaning. 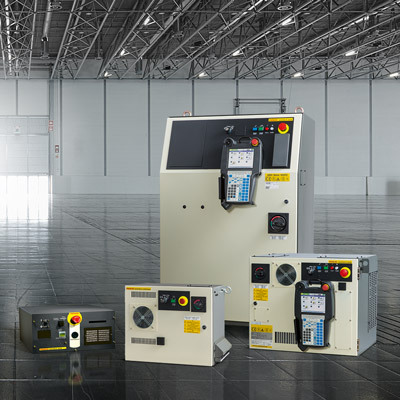 Offering different cabinets for its powerful robot controllers you can easily choose the one best fitting your individual needs.